Primary Inspired: Sweets for the Sweet! a Freebie Linky! Sweets for the Sweet! a Freebie Linky! I am so excited to be joining in with this super fun linky! I just love February! There's so many things you can do in the classroom! There's Valentine's Day, of course...but there's also Groundhog Day, Presidents Day, & Black History Month. I always use Presidents Day & Black History Month as a launching point for our Famous Americans project in February, too, which makes this little month of February B.U.S.Y! When I heard A Class*y Collaboration was going to host a February Freebie Linky, I knew just what I was going to share! My kiddos LOVE these I Spy activities! I'm so excited to share this one with you! 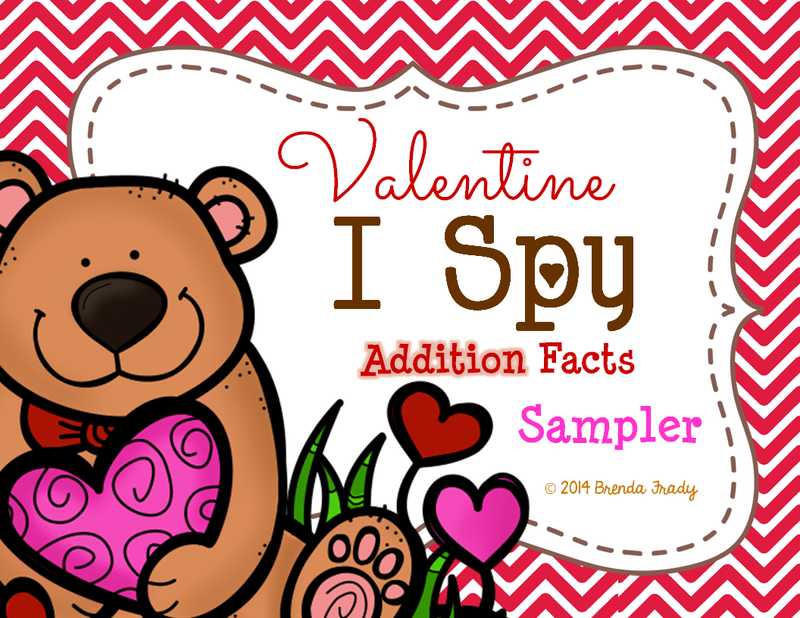 This is an I Spy Addition Facts. I love using them in workstations. Just print the I Spy picture & the recording sheet, grab your hand lenses, and you are good to go! Just click on the image below to download your freebie! Now click on the button to head over to Class*y & check out all the other freebies that have linked up! Better yet...link up a freebie, too!